Actuator technologies greatly affect a robotic platform’s mobility, load-bearing capacity, and dexterity, among other capabilities. Under the SHRIMP program, researchers will work to push beyond the current state-of-the-art and develop actuator materials and mechanisms that prioritize force generation, efficiency, strength-to-weight ratio, and maximum work density. 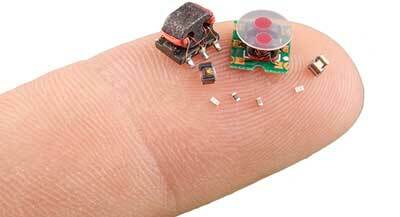 While advancing actuator and power supply technology will help to significantly advance the field, they are only part of the challenge when it comes to developing micro-to-milli robotics. “Engineering for extreme SWaP minimization is a diverse task that must take these areas into account but also the mechanical, electrical, and thermal considerations required for designing a highly-functional microsystem,” said Polcawich. Researchers will be further challenged to bring the fundamental research efforts together with engineering problem solving to develop and demonstrate multi-functional micro-to-milli scale robotics platforms that deliver untethered mobility, maneuverability, and dexterity. The SHRIMP platforms will be evaluated using many of the same principles employed in the National Institute of Standards and Technology (NIST) Robotics Test Facility, which has been adapted for micro-to-milli robotic platforms. To determine potential field utility, each participating team will compete in an Olympic-style evaluation to test the platform’s mobility, maneuverability across flat and inclined surfaces, load-bearing capability, speed, and other capabilities.